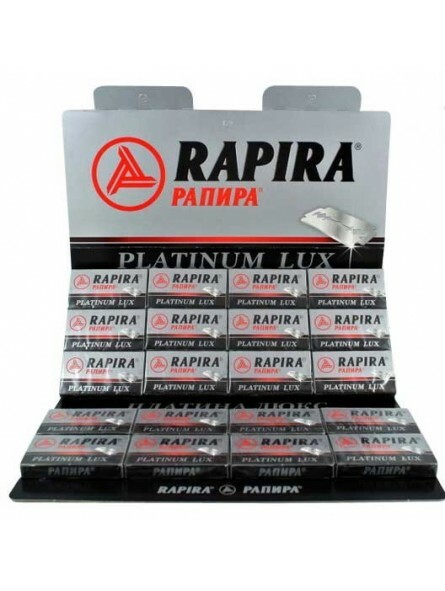 Rapira Platinum Double Edge Razor Blades. This pack contains 20 boxes, each containing 5 blades. These excellent Platinum Double Edge Razor Blades are platinum coated. The sharp blades will last for 5-7 shaves. 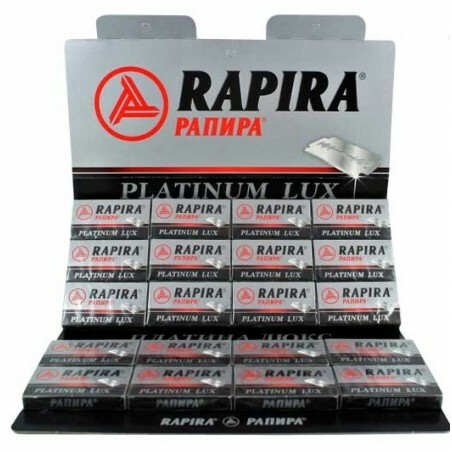 Rapira Platinum Double Edge Razor Blades. 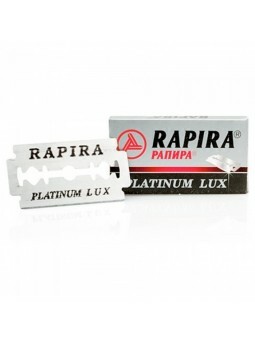 These excellent Platinum Double Edge Razor Blades are platinum coated. The sharp blades will last for 5-7 shaves. A pack of 5 blades.